From July 2015 through January 2017, I wrote 48 blog posts for Vision Internet as a function of my Product Marketing role. Vision creates and hosts websites for cities, counties and other government agencies, and we used the blog to drive awareness and provide great content for our social media and email campaigns. Here are a few of the my most recent posts and you can find the other posts on the Vision website. When you’ve worked with local government IT and communications leaders every day for more than 20 years, it doesn’t take a crystal ball to predict the major trends that will impact local government in 2017. As 2016 wraps up, we want to take a moment to share the top 10 most viewed blog posts from our Vision Blog. Overall, we shared 44 blog posts in 2016 covering topics including: Best Practices, Usability, User Experience, Content Strategy, Analytics and Accessibility. Enjoy the walk down memory lane, and stay tuned for more great content and thought leadership content from Vision in 2017! And best wishes for the New Year. “Improving engagement” is a goal we’ve often heard from local government staff, yet many struggle to know how to go about making it happen. This issue was top of mind as we met with staff from coast to coast over the last year in preparation for the launch of our community engagement tool, visionPulse. We are pleased to announce the availability of visionPulse, the latest addition to Vision’s product family. visionPulse is a community engagement platform that enables local governments to gauge the public’s opinion on important issues and turn that feedback into actionable results. What Are You Doing About Cybersecurity Threats? Last week, the Internet was jolted with an unprecedented cybersecurity attack that affected many of the leading brands on the Internet. It is ironic that October is National Cybersecurity Awareness Month, and one of the largest attacks occurred in a time of heightened awareness. We would like to congratulate our customer, Roswell, Georgia, for winning a Pinnacle Award at the National Association of Government Web Professionals (NAGW) annual conference in San Antonio, Texas last week. MONEY Magazine announced their Best Places to Live in America list this week and 11 Vision customers were named in the top 50 cities. See You at the NAGW 2016 National Conference! The National Association of Government Web Professionals (NAGW) is hosting their 14th National Conference this week in San Antonio, Texas from Wednesday, September 21st to Friday, September 23rd. The City of Eden Prairie, Minnesota hosted Vision’s second Innovation Academy of 2016 on August 25th at the Eden Prairie City Center. User Experience, Content Strategy and Analytics were the key themes of the Academy. Do You Know The Most Popular Pages on Your Local Government Website? Everyone expects the top content on a local government website to be about jobs, events or police – but for many of our customers, the results are quite surprising. In this post, we highlight several “surprising” pages that broke into the top 10 recently illustrating why it is so important to understand the uniqueness of your community and dive into the analytics for your own website. Digital accessibility is important for many reasons. How would you access the Internet if you had difficulty seeing your computer screen, strained to hear sound, or had trouble using a keyboard or a mouse? In the U.S. today, 1 in 5 citizens has a disability and many struggle to visit their local government websites to pay utility bills, register children for Parks and Rec programs, and weigh in on community issues. Do You Need a Better Way to Manage Your Social Media? Vision is constantly updating our CMS system based on feedbacks and suggestions from our customers. We have heard that doing a better job with social media is at the top of our customers’ minds, and we just released visionSocial to simplify social media management for our local government customers. 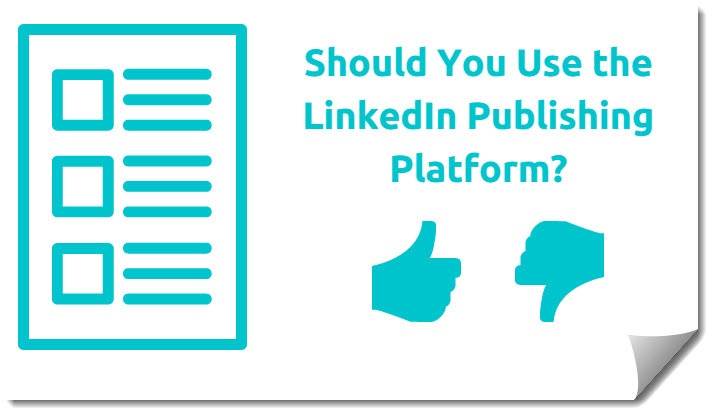 Should You Use the LinkedIn Publishing Platform? LinkedIn opened up their publishing platform to all users in the beginning of 2014, and since then more 2.5 million posts have been published, including 27 posts from me. With more than 320 million users, you would think that publishing on the LinkedIn platform would build your reputation as a thought leader while generating a ton of views and engagement, right? Is LinkedIn Publishing Worth It? I have enjoyed using the LinkedIn Publishing Platform and find it easy to use. I also like how the posts tie directly into my LinkedIn Profile and can be discovered by anyone who views my profile. However, I have some reservations about the ultimate reach my posts are getting on LinkedIn. Of my 27 posts in the last 18 months, only two have been “picked up” and promoted to a wider audience on LinkedIn. One post on appreciating your employees generated 12,885 views, 764 Likes and 105 Comments while a post titled “Did You Do Your Power Pose Today” generated 10,617 Views, 126 Likes and 50 Comments. But it has been nearly a year since I had a post promoted on LinkedIn. Even with over 1,500 Followers in my network, my other 25 posts have averaged about 100 Views and 2 Likes. This does not seem like much visibility and unless you are one of the named LinkedIn Influencers or one of your posts gets promoted, I would guess that your results are similar to mine. Why is Visibility So Low? Too much content – There is a lot of content posted every day on LinkedIn in the form of status updates from individuals, company pages and sponsored posts. LinkedIn statistics say that more than 40,000 posts are added to their publishing platform every day which means that it is hard for even good posts to get much notice. Published posts are not grouped into any easy taxonomy or topic, so many posts get buried or lost in the noise. LinkedIn is not a go-to content source – I don’t know what the actual statistics are, but my belief is that many people are not using LinkedIn in the same manner as I am. I am in the habit of checking LinkedIn every day and have a routine where I scan my newsfeed, see what the companies I am following have posted and view any notifications or connection requests. But I feel that I am in the minority in this regard and even though you can do a quick LinkedIn scan in less than 5 minutes, I believe that most people don’t take the time to visit LinkedIn let alone perform any daily scanning ritual. No easy way to discover my content – The LinkedIn newsfeed provides a list of posts from your network and followed companies on the day they are posted. One of my followers would have to see my post in their newsfeed or notifications on that day, and I have no way of reaching others on LinkedIn unless my post gets promoted. How Do People Discover My Posts? While thinking about why visibility is so low, I decided to think about the problem from the angle of how people actually discover content on LinkedIn. People can discover my content by viewing a status update, checking their notification flag at the top of LinkedIn, by visiting my LinkedIn profile and through the periodic LinkedIn email that provides network updates. When someone visits my profile, only the last 3 published posts are displayed and a “more” link has to be clicked to see the other posts. I also post links to my LinkedIn updates in other social media channels like Twitter and Facebook which can also point people back to LinkedIn. My two questions have to do with how people will discover what I have published on LinkedIn after the day I publish the post. I know from my blogging experience that many of my posts have quite long tails and that they are still receiving views more than 5 years after I originally wrote them. How do I find old posts on LinkedIn? Is Google indexing the posts and can they be found via a Google search? Actually, I answered the first question myself when I just “discovered” that you can search specifically for Posts using the search bar at the top of the LinkedIn screen. When you select Posts from the drop-down Search menu, only posts are displayed in the results and you can sort the results on Relevance, Date or use the advanced options to search for specific authors or date ranges. While it’s great news that you can search for old posts, it is not so good if your post is deemed to be not so relevant and is buried deep in the list of results. As far as my second question, I Googled the specific title of several of my posts and was pleased to see that the LinkedIn version of my post was generally in the top three results. I generally cross post my posts to my social media blog and sometimes to another site such as Social Media Today and Slideshare, and these sites would usually appear above the LinkedIn version. What I don’t know is the impact of any long tail impact of my posts as LinkedIn does not offer an easy way to track views or other metrics like I get with my WordPress blog. So, my questions have been answered (sort of). If you have a post that relates to a specific industry or targeted audience, then you will probably get more traction with your content by posting on an industry-specific site. Most of my posts fall into the social media space, and I have been fortunate to twelve articles published in Social Media Today over the last several years. For example, I published a new post at the beginning of May on both LinkedIn and Social Media Today. I have included a comparison of the results between both platforms below. The Social Media Today version of the post has received over 1,100 interactions in less than 3 weeks (shares, likes and tweets) and the Slideshare presentation embedded in the post has been viewed over 19,000 times. By comparison, the version published via the LinkedIn publishing platform resulted in just 68 views and 4 likes. If I had only published this post on LinkedIn, it would have been like the plant that didn’t get any water and it would have died a slow (and very quiet) death. What Are My Publishing Suggestions? Continue to publish on LinkedIn – I like the idea that the LinkedIn posts are tied to my profile and having posts in your LinkedIn profile does show your interests and can establish your thought leadership. Being in the habit of writing and sharing your expertise will set you on a path towards being a thought leader in your industry. Find and use alternative platforms – To get the most traction for your reputation, you will need to find and use alternative platforms for publishing your content. Look at the top sites that are followed by your industry and see if they accept user-generated content. Some sites will accept nearly all content, and others are more selective in what they accept. And then just be diligent and resourceful about getting your content published. Cross post your content – You should also cross-post your LinkedIn content to your primary social media channels like Twitter and Facebook. If you have a personal blog, you should also re-post the content there as well. Check your stats – It is also important to check your stats to see what posts or topics are successful for you and which posts did not perform as well so you can make adjustments in the future. Good luck on your publishing career and building up your reputation as a thought leader. 64% of followers will follow your company forever. However, most companies fail to take advantage of the full value of Company Pages. This article provides you with 6 tips to unleash the potential of your Company Page, and make it more attractive and useful to your followers. By taking advantage of these suggestions, you can begin building and enhancing high value relationships with your LinkedIn followers. I managed the AppleOne LinkedIn Company Page from January 2012 to June 2014, and this page was named one of the 10 Best LinkedIn Company Pages of 2013. Under my stewardship, the number of followers grew by more than 7x to over 28,000. In addition, the page was averaging 100,000 impressions per week and was on target to hit 5 million impressions for 2014 when I moved to another position. I was constantly testing new approaches and ways to build engagement, and the tips outlined in this article are based on my direct experience. The more content you post on your Company Page, the more you will keep your company’s name in front of your followers and in the LinkedIn Newsfeed. My best practice suggestion is to post status updates on a daily basis which means you will need five great posts each week to drive awareness, engagement and traffic. Once you get in the habit of posting regularly, your audience will come to rely on your ability to engage, educate and entertain them. Some larger companies may post several times per day, but beware that you do reach a saturation point point of sharing too many updates. It is important to post interesting content that followers will find useful for their every day job or career, or that educates or entertains them in some way. You do not want every message on your Company Page to advertise your products or services because that would only serve to annoy or turn off your followers. For instance, out of five weekly Company Page posts, only one or two of the posts would be a link back to the company blog or website. For the rest of the Company Page content, I use Feedly’s RSS feeder to keep track of more than 75 different blog and news feeds. I scanned the headlines on a daily basis, and select the top 12 articles to post on two different Twitter accounts. From this subset, I selected the best articles to share on the LinkedIn Company Page. Readers are bombarded by countless messages every day so your posts need to quickly grab the reader’s attention from among all of the content they are seeing on all of their social networks or information sources. Ask a thought-provoking question, tease the readers with a snappy tidbit or give them some reason to want to read the post. Don’t forget to include a shortened URL at the end of your headline to link to your content (my favorite is Hootsuite’s ow.ly URL shortener, and there are several other options to chose from as well). By default, if you paste a URL into a status update, LinkedIn will suggest a clickable postage stamp-sized photo from an image at that page. Alternatively, I have found that it is far better to upload my own image which usually with the content’s title superimposed over the picture. Sometimes I use an image from the actual article or other times, I create my own using Canva. An uploaded image will be about 350×210 pixels compared to the standard 180×110 pixels which is a difference of nearly 4x. In an experiment I conducted this year, we were able to gain 87% more Impressions, 132% more Clicks and 39% more Interactions on identical posts. Most companies are still struggling with empowering their employees to engage regularly with their LinkedIn company page. At AppleOne, we had over 1,500 employees on LinkedIn, but only a small percentage were engaging with our content. We averaged 41 interactions on our status updates during the first 6 months of 2014 which would be less than 3% engagement per post assuming all of the interactions are from employees. Companies need to do a better job of explaining to employees that they are an essential part of the marketing team and highlight how critical their participation is to the overall company success. Training employees to Follow their company page, and regularly Like and Share content will greatly boost interactions and engagement. It is always important to monitor your results to see what is working and what is not working, and then adjust accordingly. The Admin Analytics page for Company Pages provides a lot of great information. Generally, I would check the Analytics several times per day and I kept very detailed weekly trend data. From January to June 2014, I know that the AppleOne posts averaged more than 19,000 Impressions, 192 Clicks and 41 Interactions each. I also determined that the best engagement occurred from Tuesday to Thursday, so I always posted what I thought was the most powerful content on those days. Here is the Slideshare version of this post if you want to save it or download it for later use. Over the last several years, I have looked at thousands of LinkedIn profiles. I have seen a few great profiles, but the majority of them did not do a very good job at presenting the individuals in their best possible light. The question is no longer IF you have a personal brand, but if you choose to guide and cultivate the brand or to let it be defined on your behalf. The good news is that LinkedIn offers a fantastic platform for cultivating your own brand and that it does not take a great deal of effort to go from an average LinkedIn profile to an outstanding LinkedIn profile. I have helped many professionals update their LinkedIn profiles, and have developed materials and delivered courses to improve how people brand themselves through their LinkedIn profile. 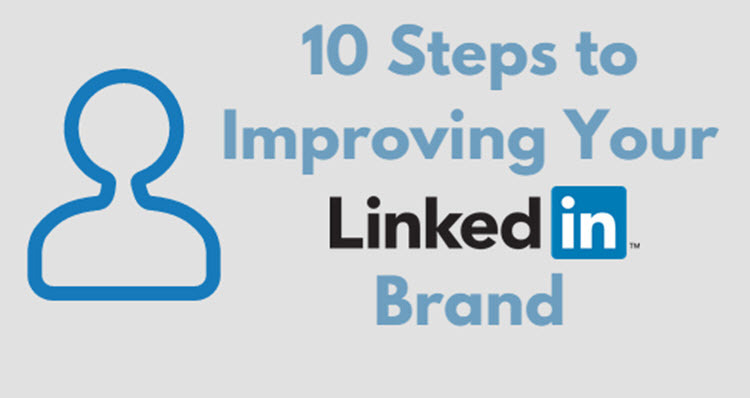 I have compiled a distillation of the LinkedIn best practices I have discovered through my experience into a Slideshare presentation titled 10 Steps to Improving Your LinkedIn Brand and embedded below. These tips will provide you with the route and directions needed to supercharge your LinkedIn profile today. Good luck going from average to awesome with your personal brand! Let me know if you have any other great LinkedIn branding tips. I am Social Media and Digital Marketing Strategist experienced in both B2B and B2C arenas, and have proven expertise in multiple industries. My strengths include: developing and implementing marketing and social media strategies, generating brand awareness and demand, crafting marketing positioning and collateral, managing social media properties on a daily basis, curating content and writing blog posts, developing training materials and instructing associates on social media best practices, engaging with customers and prospects, analyzing marketing performance to determine effectiveness and evangelizing stakeholders and customers. Contact me by email via tom@humbarger.com or check out my blog or LinkedIn Profile for more information on how I can help your company achieve your social media goals and objectives. If you are like me and run a lot of searches on LinkedIn, eventually you are going to run into LinkedIn’s new commercial use limit. This is a new ‘feature’ that LinkedIn quietly rolled out in January 2015 as a way to reign in users who are overusing their free LinkedIn accounts. I just bumped into my limit yesterday and want to share my thoughts and offer a few ways to get around the limit. I did not even know that this meant and had to click through to the Learn more link to see what I had done. LinkedIn still offers up four results for your search, but that’s it. One nice “tongue-in-cheek” feature that I enjoy is that LinkedIn does personalize their error message to take out some of the sting. In any case, my search capabilites are serious limited until the limit resets at the beginning of next month. Essentially, LinkedIn is trying to migrate more power users onto a higher paid subscription account. When they use the term “Commercial”, they are referring to users who are using LinkedIn for recruiting or sales prospecting purposes – or what they assume are recruiting or prospecting purposes. No Quantification of Limit – LinkedIn has not identified how many searches are too many, and the limit may actually vary from person to person. This lack of transparency is very annoying and frankly wrong in my mind. LinkedIn says are that they warn you when you are within 30% of hitting your limit, but I either ignored or did not see that warning. Job Seeker Premium Accounts Are Not Premium Enough – To make matters worse, I actually have a LinkedIn premium account, but I guess that is not enough. I am currently paying $29.95 per month for a Job Seeker premium account, and I still bumped into the limit. I guess the issue is that LinkedIn is assuming that the queries I run are for commercial purposes and not for background research on the jobs and companies I am interested in pursuing. LinkedIn obviously wants me to pay more for my ‘commercial’ searches. LinkedIn iPhone or iPad App – For some unexplainable reason (to me), the search results for me are not impacted when I conduct a search using the iPhone or iPad LinkedIn app. Maybe I shouldn’t say this out loud, but it appears (for now) that you can search on your mobile or tablet device without running into the search limitation. If you are not using these apps yet, this is a good reason to give them a test drive. X-Ray Search Technique – The other alternative is to use one of the X-Ray Search techniques. I wrote a post last year with a detailed explanation of how to use the X-Ray Search Technique to take advantage of LinkedIn’s public profiles. Public LinkedIn profiles include /pub/ in their URL, and around 90% of all LinkedIn profiles have a public profile which can be searched using Google or Internet Explorer search. Users can opt out of having a public profile, but you have to make a conscious choice under Privacy and Settings. While this approach is not as convenient as using Advanced Search in LinkedIn, it does yield results and actually returns more results than you may receive via LinkedIn. This new search limitation will definitely impact many in the recruiting, sales and marketing fields, and I am surprised that I have not seen more outrage at this policy. The bottom line is that you will likely have to start paying to access LinkedIn features that were previously free to use. 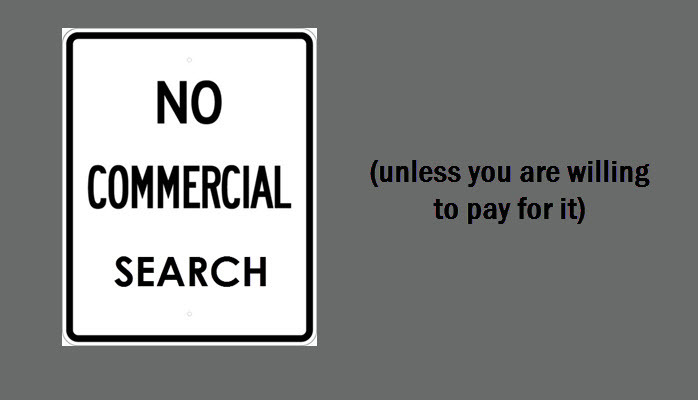 Let me know your thoughts on Commercial Search limitations and how you are addressing it. The Upload Campaign on the Slideshare blog for February is Social Media Secrets (#SMSecrets). The purpose of the campaign addresses the issues of how do you use social media to stand out from the rest of the crowd? What’s the best way to gain followers, start a conversation, and streamline it all, whether you’re representing a company or your own personal brand? I just uploaded my submission for the month which is titled, “6 Tips for a Better LinkedIn Company Page” and also embedded it below. You can view the rest of the #SMSecrets uploads on Slideshare. And The Consumer Says "I Want A Divorce"